We at American Panel are dedicated to offering excellent wages & benefits to the workers we employ. Please direct any questions to hr@americanpanel.com. Due to tremendous business growth, American Panel Corporation has an exciting and new opportunity for an individual to help us reach out to customers via marketing and advertising. Establish strategic marketing plans to achieve corporate objectives for products and services. Research, analyzes, and monitors financial, technological, and demographic factors to capitalize on market opportunities and minimize effects of competitive activity. Develop and manage marketing operating budget. Develop, plan and execute advertising and promotion activities including print, online, electronic media, and direct mail. Create ads, marketing materials, brochures, videos, websites, etc. including layout. Evaluate and recommend distribution channel development programs. Determine agencies and suppliers of record, and negotiates contract terms and conditions for major services. Serve as liaison with outside agencies on ongoing promotional campaigns. Develop and oversee the development and production of promotional and collateral materials. Help to achieve satisfactory profit/loss ratio and market share in relation to preset standards and industry and economic trends. Ensure effective control of marketing results, and takes corrective action to guarantee that achievement of marketing objectives falls within designated budgets. Evaluate market research and adjusts marketing strategy to meet changing market and competitive conditions. Monitor competitive products and marketing activities. Establish and maintain relationships with industry influencers and key community and strategic partners. Resolve conflicts and facilitates changes in structure of marketing group to ensure objective fulfillment and swift response to marketing problems and opportunities. Conduct marketing surveys on current and new product concepts, and provides feedback for future product development. Prepare marketing activity reports and presents to executive management. Establish and maintains a consistent corporate image throughout all product lines, promotional materials, and events. 401k plan, etc. and competitive salary. Talay st. 158, Inspirado inc.
American Panel is a family owned company started in 1963. 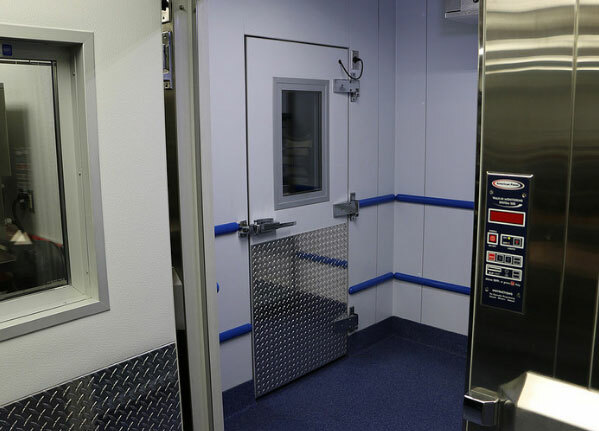 We are proud to provide exceptional walk-ins and blast chillers.